First would like to thank the receptivity that We have to present our product, we are very excited with the opportunity to have you as a customer and future reference of our work. Our company was created to provide provision of General Services, surveillance and security with ethics, responsibility and professionalism, meeting all the requirements laid the gatehouses and federal laws in effect in country. We combine the most modern management tools of people and technological resources, the provision of a quality service and competitive costs. Our managerial and executive team, formed for security managers, experienced electronic engineers and specialists in risk analysis, ensure through rigorous technical planning, the best solutions and features client-specific activities, both in the implementation and operation of security solutions, as in the provision of General Services. MISSION: Ensure with excellence physical integrity and property of our customers, reaching the total satisfaction of same. VISION: Be a reference in the market to provide general surveillance and security services, adding value to business of our customers and satisfaction to our employees. PREFERENCE of our customers for us. Our Security professionals and Surveillance are enabled, so national Vigilante and they are always properly identified and uniformed appearance appropriate personnel. In the provision of General Services, We look for in the market, skilled professionals who know how to meet the specific needs of each of our contractors. Be welcoming or preserving the cleaning, we know that such services are fundamental to the maintenance of customer's image and our employees are able to transmit this concept. Besides a constant monitoring of our supervisors on jobs, we keep courses, meetings and recycles up to date, so that our professionals are always ready for the conduct of its work, obtaining the results expected by our customers and ensuring promptness, tranquility, Security and integrity of goods and people . 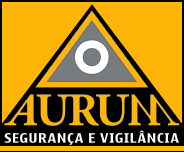 The human resources Department of Aurum Search apply strict criteria for the selection of our team, looking to find the best professionals and ensuring excellence Administrative and operational in all the services provided. Our concern is to find out different professional profiles and adapt them to the ideal functionsin accordance with the skills of each. For each client a customized solution According to your needs. Our team of professionals specialized in safety planning ensures total efficiency of the project, taking into account the stricter criteria of the segment. 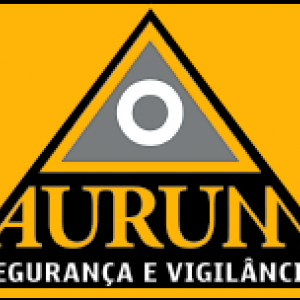 Employees of Aurum and Security Have surveillance training course for security guards and National Portfolio issued by properly qualified and recognised institutions. Are trained to act properly, having available support equipment such as: modern vehicles, rounds electronic, radio intercom, alarm and monitoring systems, and the whatever else is necessary to ensure effectiveness and efficiency in performance. We develop studies and exclusive designs based on criteria and risk analysis of each client, taking into accounts the temeridades potentials that are exposed and which are the most appropriate solutions for total control of the situation, what ensures more effective results in this segment of security. 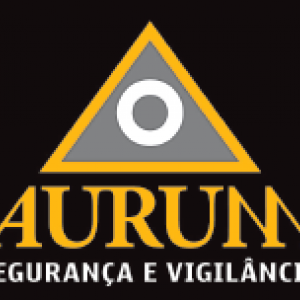 State-of-the-art central monitoring, acting 24 hours a day, whether receiving alarm signals and images online from customers anywhere in the Brazil, and may coordinate the sending of surveillance (ground support) to the site and, if necessary, fire the police or fire department. Modern equipment, which enable the web transmission of images received by the central monitoring and centralization of information vital to the business assets or control accommodation, protecting assets and preventing losses. All in one solution complete, in line with the laws and safety standards. Provide electronic security services essential for any type of project, such as: alarms, sensors of Presence, perimeter protection and closed circuit TV (CCTV), among others. 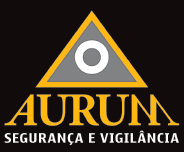 We have a management team with extensive experience in the area of security at events, which allows the contractor to have total tranquillity in the conduct of its business, While the Aurum leads its security surveillance and security, equity, the guests, customers or audience. All this with sympathy, posture, common sense and a watchful eye. Select employees in accordance with the target audience of the event, making sure the positioning each one is the most appropriate under the most adverse situations, acting as passed by the customer's own briefing, and always respecting the rules laid down in each occasion. We rely on trained professionals and able to offer high quality standard in the various functions related to General Services and services. In addition to careful analysis at the time of hiring, all employees undergo a technical training and behavioral, so that can receive and transmit the image that every customer wants to spend to your audience, thus adding value to event or location, and making extremely personalized service. Cleaning: Cleanliness and conservation companies of various sizes and segments, such as: industries, wholesalers, shopping centers, educational institutions, utilities etc, plus residential and commercial condominiums. SUPPORT SERVICE: Parlourmaid, painter, plumber, Assistant General, messengers, among others. The professionals who form our team are trained in their area of expertise, which ensures provide through a rigorous technical planning, the best solutions for each characteristic and specific activity our customers, both in implementation and operation of security solutions, as in the provision of General Services. FIXED PUBLISHER AND ADVERTISING LTD.